Triad Wars is a free to play Online Open World Action game where players get to build up their own Triad gang and territory in Hong Kong. The game features some exceptional open world combat mechanics as well as fun driving content that will be the bases of quest based content. It is now available to everyone to play and we got the chance to put a few questions towards developers United Front Games. Thanks for taking the time to answer our questions; first of all, could you introduce yourself to our readers? Hi there, my name is Steven Ferreira. I’m one of the designers from United Front Games, the developers of Triad Wars. 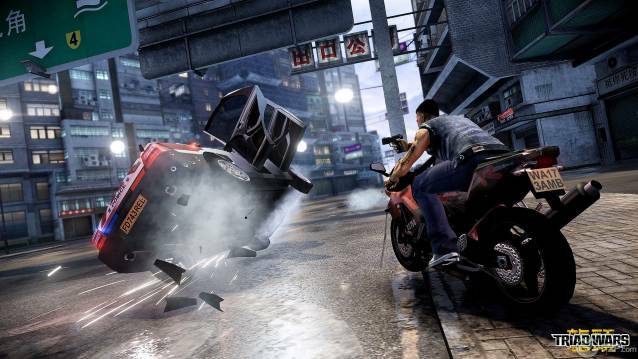 For those unaware, can you tell us a little about Triad Wars, where the game came from and just what it is all about? Triad Wars is set in the universe of Sleeping Dogs, prior to Wei Shen’s return to Hong Kong and the start of his undercover mission to infiltrate and dismantle the Triads from the inside. Civil war and unrest among the controlling Triad societies has created the perfect opportunity for a young, up and coming “brother” to rise to power and take control of Hong Kong’s criminal underworld. The Closed Beta has ended now, how do you think it went; what kind of feedback did you get from testing and what have you learned from the process? When you set out to create any game there is a vision for what it’s going to be in its finished state and one of the most stressful moments was letting go of the traditional process of completing and polishing that experience before putting it in the hands of players. We told ourselves going in that this was going to be the top priority, that players were going to get their hands on early in development and help steer the direction of the game. Closed Beta went really well for us as a development team primarily because of how much we learned about the process of communicating with players and integrating that feedback directly into our development process. Having players let us know what they want from Triad Wars in real time and refining our process of developing and maintaining a live game in order to get there is something we could only have learned by having the game out there, live and with a strong community of players to drive it. Overall it was a huge learning process and ultimately it’s helped us direct our efforts towards what players want most and refine our process for getting content out into the live game with the help of players. Were there any major changes implemented due to community feedback during the testing phase? One of the main things players have influenced to date has been the amount of control over the action gameplay and the multiplayer experience. We started off focusing our multiplayer experience into the metagame working towards a long term competitive action experience but we found that gave players the wrong impression on where we were trying to get to in the long run. Since then we’ve shifted focus to be action first and released our Enforcer Evolution update that has changed how players create their enforcers through a new weapons and upgrade system. Now we’re working on getting more content in to support those changes like new weapons, upgrades and combat moves which will give us a better action experience to incorporate into multiplayer and co-op gameplay moving forward. From our own time playing the game, which was incredibly fun and combat is really dynamic, our one issue right now is that it doesn’t feel much like a multiplayer game and the content is completely solo based, are there any plans to address that in the future or do you like where the game is at? We definitely see the games current state as the training ground for what’s to come on the multiplayer front. A competitive multiplayer environment has always been a key part of where Triad Wars is going but we’ve shifted a bit on how it’s going to get there. We have some ideas that we’ll roll out in the near future so stay tuned for more news on that. What can we expect for the future of the game, what new additions and content on the long run? Expect a stream of new combat moves, styles, weapons and other enforcer focused content in the immediate future. 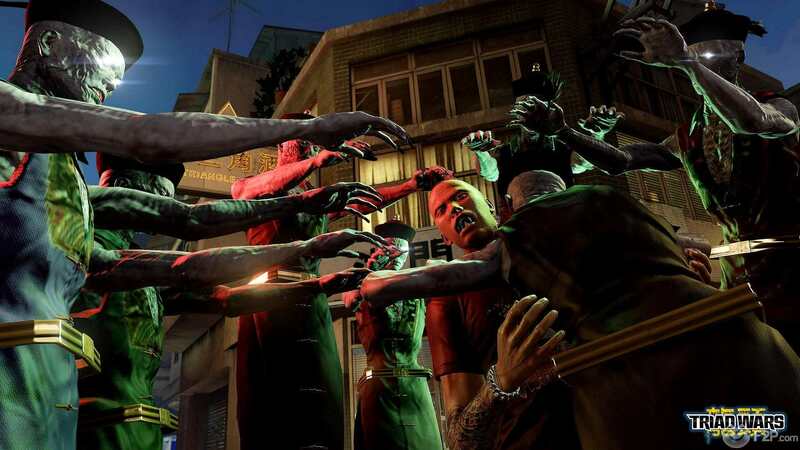 You can also expect to see the return of some familiar Sleeping Dogs faces in the world of Triad Wars which I’m really excited about and well, we’ve already discussed multiplayer a bit. I’ll leave it at that. What about upcoming features? Are you going to add any new feature in the following months? 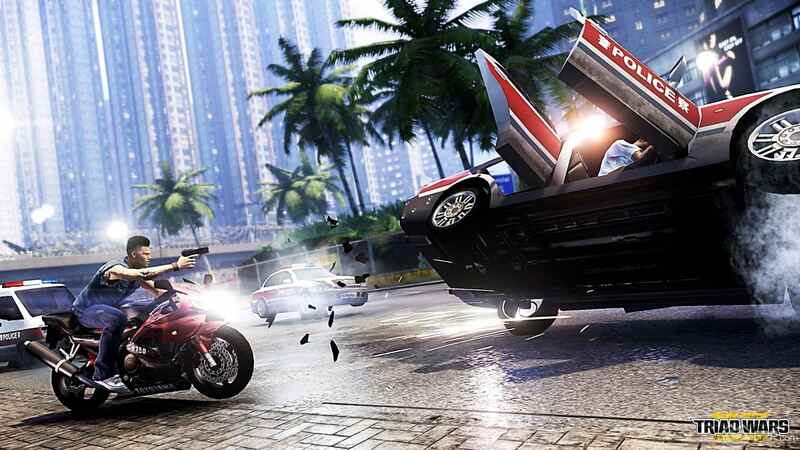 Right now we’re focused on creating supporting content for enforcer customization and the upgrade system. Halloween is around the corner. Anything planned? Oh Yes. For the month of October we’re running a series of “Challenges” dubbed “Horror in Hong Kong”. Each weekend there is a new challenge involving Jiang Shi, demons and hungry ghosts running loose in Triad Wars. Each challenge also has an exclusive “Epic” class upgrade or weapon as a reward so jump into the game during October to check it out. We read your Reddit AMA way back and one of the things that stuck out to us, and seems to always be a case for developers, is how long development takes and not being able to snap your fingers and get a feature in game. If you could do that, snap your fingers and make it exist (not to say that this is something even being considered for being worked on) then what would it be? So many things to choose from. I’m going to make a personal pick here and say I want to stalk the streets of Hong Kong as Mrs. Chu! taking out other players in real time. Thank you for taking the time to answer our questions. It was a pleasure. If you want to know more about this title visit our profile by clicking the "Info" button below.